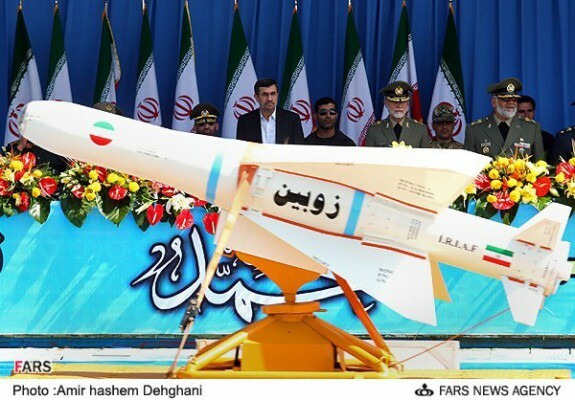 The Iranian regime held a military parade today. The parade included goose-stepping Iranian Guards. 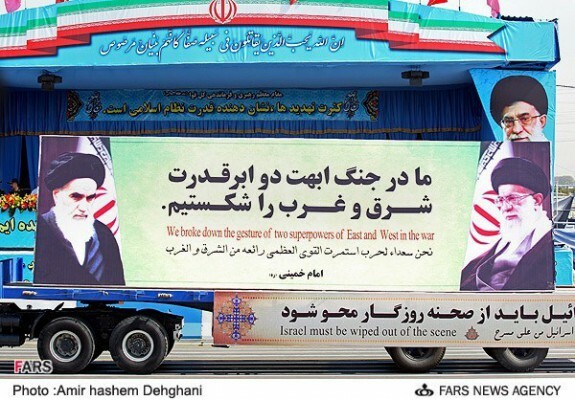 The parade included banners promising to wipe out Israel.